In 2016, we co-authored a blog, dedicated to this topic with the title, “In 2016, housing remains out of reach for many”. We have updated the year to 2018, but the title is the same and the gap between housing costs and income is the widest yet.  This blog post provides a high level overview of the findings from the report and what it means for Mecklenburg County. Mecklenburg County Community Support Services has outlined additional policy and practice interventions for consideration in the “So, What” section below. 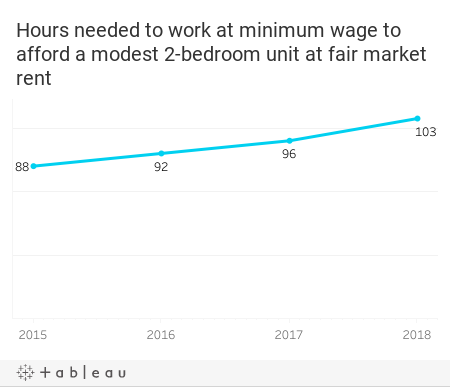 According to the 2018 Out of Reach report from the National Low Income Housing Coalition, a minimum-wage worker would have to work 103 hours per week (up from 96 hours in 2017) to afford rent and utilities for a modest two-bedroom apartment in Mecklenburg County. Luxury-style apartments like those along the light rail and in areas near to jobs, quality schools and childcare are even further out of reach. To afford a two-bedroom unit at fair market rent in Mecklenburg County and not pay more than 30 percent of gross income on housing expenses, workers would have to earn $18.60 per hour—which is $11.35 more than minimum wage. Put in real terms, this means that a single parent must work 103 hours per week to afford a two-bedroom apartment for their children—not considering day care costs while their parent is working or other costs such as transportation and medical expenses. Extremely Low-income households making below 30 percent of the Area Median Income ($22,230) face the greatest challenge. On average, extremely low income households can afford at most $556 per month in housing. The fair market rent for a two-bedroom unit in Mecklenburg County is $967. What this also means is that based on median wages, there are bus drivers, preschool teachers, teaching assistants, security guards and many other lower wage workers, working 40-plus hours per week, who cannot afford a two-bedroom unit for their families. Mecklenburg County is not alone in having a mismatch between rental housing costs and wages. Each year the report shows that there is not a single state in the United States where a one-income household can afford a two-bedroom unit making the federal minimum wage and working the standard 40 hours per week. The Out of Reach report documents that most modest rental homes are out of reach for many renters and federal housing programs that provide housing assistance to close the gap are underfunded. Low wages and wage inequality also contribute to the gap. The report calls for advocacy to increase federal investment for public housing resources. Mecklenburg County Community Support Services has outlined below local opportunities to consider in order to bring housing within reach for residents in our community. Close the affordable housing gap with private investment.  In May 2018, Foundation For The Carolinas kickstarted a new privately-financed Housing Opportunity Fund with a $5 million program-related investment. “The Housing Opportunity Fund will aim to lessen the growing affordability gap to develop housing that serves residents in a range of incomes – including moderate, low and extremely low-earning households.” The FFTC investment is contingent upon the passage of the $50 Million Housing Trust Fund bond referendum on the November 2018 ballot. FFTC is also encouraging increased legal representation to prevent evictions, additional rental subsidies and improved policy coordination across the public and private sectors. To learn more about the program-related investment, click here. Target interventions upstream, focusing on homelessness prevention and evictions. In 2017, 46% of renters (74,331 households) were cost-burdened, paying more than 30% of their income to housing related expenses and putting them at a higher risk of experiencing an eviction. The loss of housing from an eviction negatively impacts a family even if they do not become homeless and the cost to provide shelter and re-house them once homeless is expensive. To learn more about new approaches to prevention, click here to read this report on homelessness and eviction prevention.